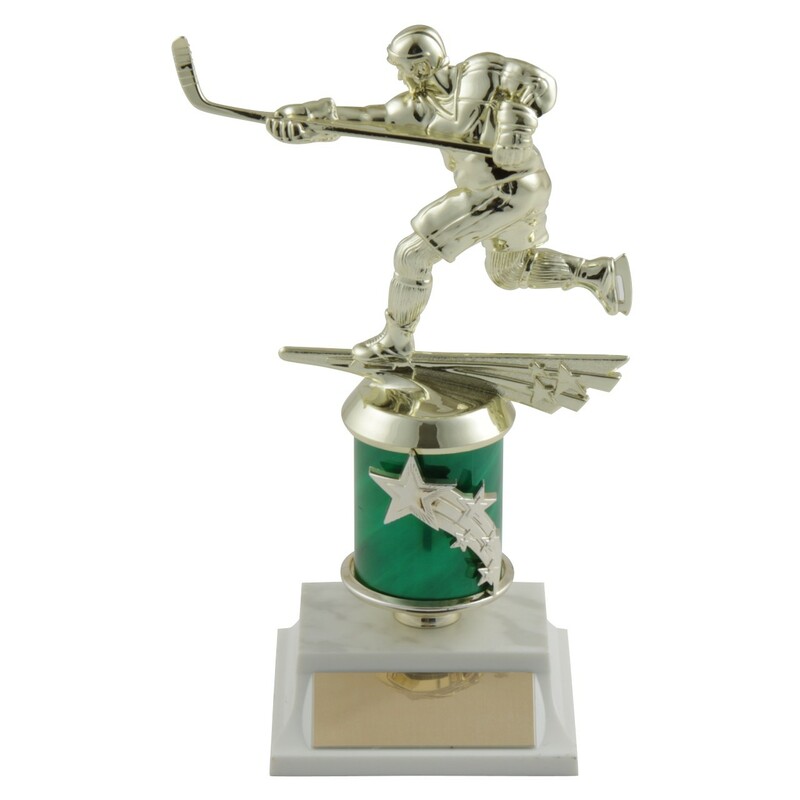 The Shooting Star Action Hockey Trophy is a colorful hockey award for your all-star players! This hockey trophy features a gold-tone hockey player atop a colored column wrapped in stars. The column is attached to a white, simulated marble base with a gold aluminum plate. 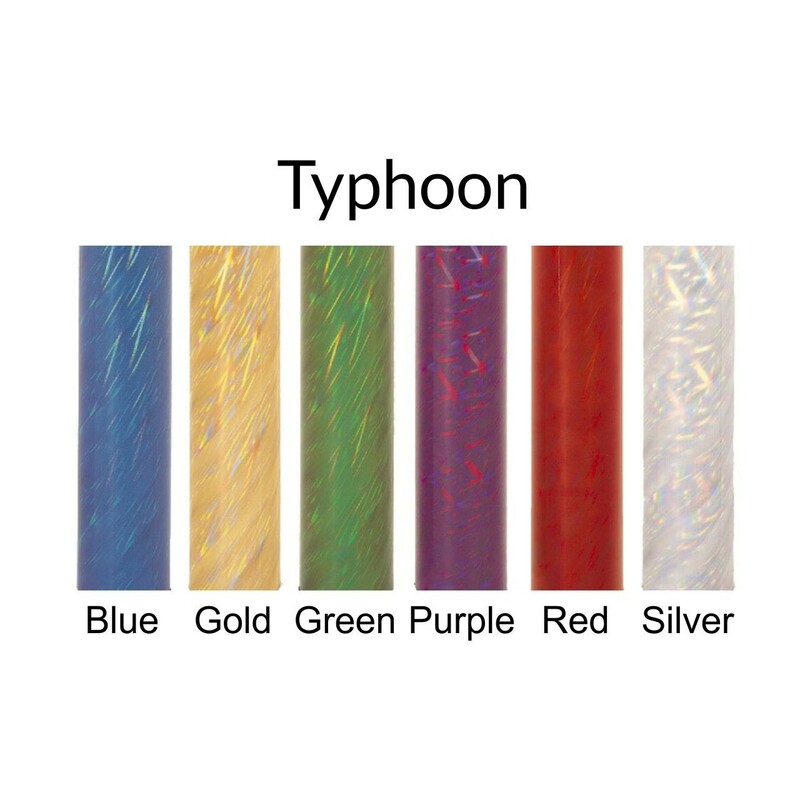 Available with your choice of column color and 3 lines of free engraving!